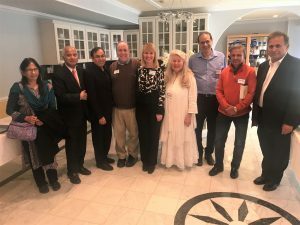 McLean, VA, March 17, 2019 — The Jewish Islamic Dialogue society (JIDS) hosted a conversation with Dr. Safi Kaskas and Eman Kaskas, about the essence of Quran to a gathering organized by the JIDS. It was a joy listening to him rolling out the truth after truth from the Quran. We thank all the friends who came to listen and appreciate Dr. Maqsood Chaudhry, a philanthropist and a supporter of community building, for providing the space and the lunch. Dr. Kaskas’ focus was on the essence of the Quran, which is based on freedom. He has translated the Quran, accompanied by 3000 related verses from the Bible and the Torah. Once again, the words may be different, actions vary due to cultural impulses, but the essence is the same in all religions, it is God’s guidance. The audience was in tune with him, and I was in tune with him, and we do exchange information daily on Facebook. Ms. Eman Kaskas and Dr. Kaskas have prepared to be each other’s back up and can deliver the full speech together or separately. Eman shared the story of Safi’s struggle in explaining a Quranic verse to fellow Americans. The sentence was that God raised the sky over the earth without columns. How would anyone see the logic in it? He slept over on it, and when he woke up he found an announcement from NASA about the invisible columns, that is the gravity that holds different things at a distance and in balance. Eureka! To quote, Goerthe, if you are committed, all sorts of things happen to you, indeed, nature will pave the way for you. That is what happened to Dr. Kaskas, and indeed, it happens to me on a daily basis. The Quran calls one to look for the signs, and he has spread everything for the human species. Indeed, when I see the snake poison used to cure specific ailments, and by God, there is an ad on the TV, that talks about increasing the human memory by using an item from the Jellyfish. Everything on earth is spread out for us, if we can see the signe, we learn it and make it meaningful to us. 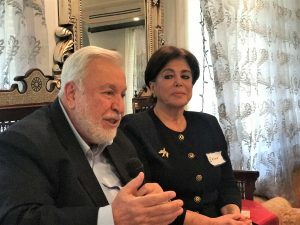 Safi was born in Lebanon and raised in the United States, and he sees things as most Americans do; with an open mind and finding reason in it. 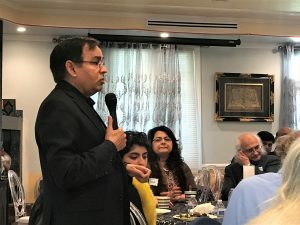 I have consistently written that an American Muslim is well equipped to write about the essence of the Quran, as he lives amidst people of different faiths and has an eye for what is inclusive and sensitive. I was struggling to express the idea of the oneness of God over the years and had decided to write that God should not be reduced to a number, such as a numero one God. I got that clarity from studying Bahai faith, and they have expressed the idea with much clarity. Now, Safi shares that idea in a beautiful fashion – the indivisible, uniquely one God. I hope to do a joint presentation with him – his topic is the Essence of the Quran and mine is the Essence of Islam, much of which is in the book American Muslim Agenda. It was a great presentation, due to time limitations or the number of questions, he shortchanged on one of the misogynistic translations of the verse Quran 4:34, and Jihad. Jihad – is the struggle of the conscience. Upon returning from a battle, the prophet was asked, what next? He said, the bigger Jihad! That is the resistance you have to employ to denigrate, seek revenge or get even with the losers. Hold on to the temptations to humiliate the other, in God’s eyes, and all are equal and are dignified. However, Jihad was stated as an armed struggle by the right-wing Muslims, part of the falsity was a reaction to the crusades and not a thoughtful and truthful commentary by some of the Muslim scholars of the past. The simple rule that I follow is, if it is not in the Quran, and if it is not common sense, then it is not Islam. As Safi reiterated and challenged, that no war in the Quran was offensive, they were all defensive. Yes, sick people in every group do bad things, let’s work with them and not blame their faiths or cultures for the acts of the individuals. 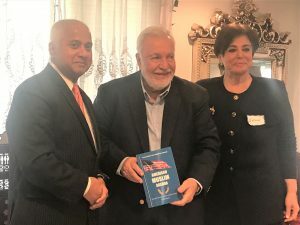 If you want to understand the essence of Islam and how it contributes to creating a better world, please read the book American Muslim Agenda. 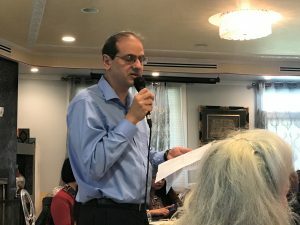 Eight testimonies support the work – two of them were by modern Quran translators like Dr. Safi Kaskas and Dr. Laleh Bakhtiar, A renowned Evangelical Pastor, Our own Rabbi Gerald Serotta, a Sikh and Muslim Scholars. My Hindu scholar friends were not able to write the testimonial on time for the book. Mike Ghouse is a thinker, author and a pluralist committed to opening people’s heart and minds and offers pluralistic solutions on issues of the day. 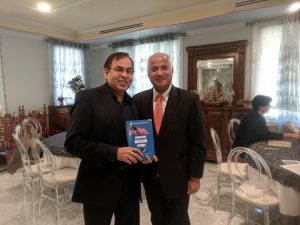 His book American Muslim Agenda is available on Amazon, Barnes & Nobles, Kindle, Google, and other book stores, it is a bold new book and challenges the mythical traditions. If it is not common sense, it is not Islam. Mike is the Executive Director of the Center for Pluralism.